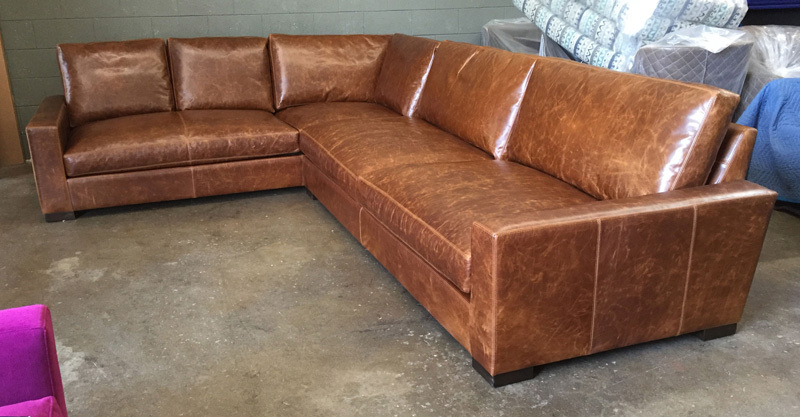 Just shipped and on the way to Montgomery Texas, this small 6ft. 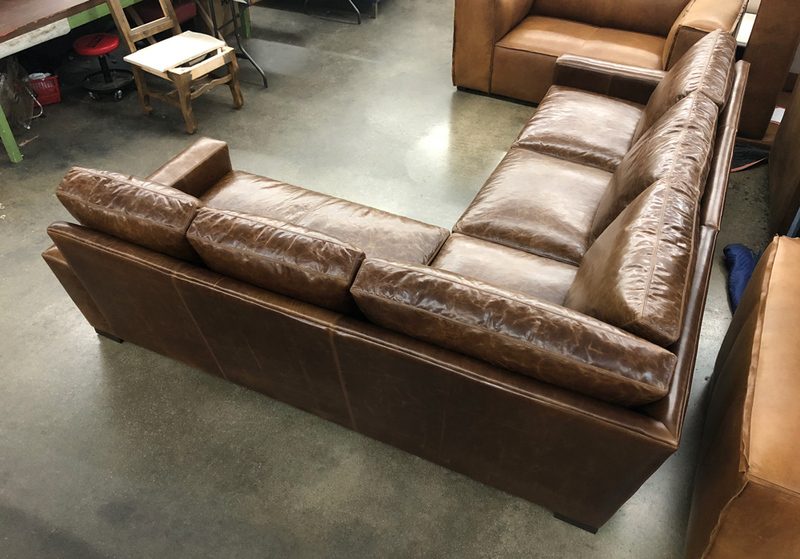 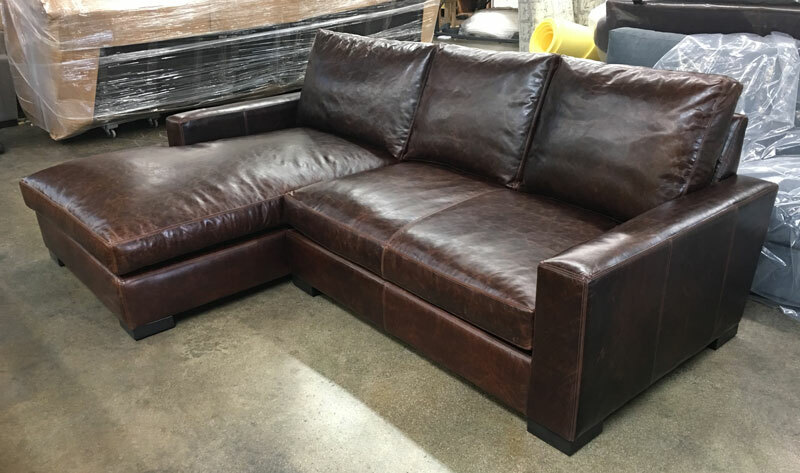 long Braxton Leather Sofa still packs some punch with roomy, 46″ deep seating. 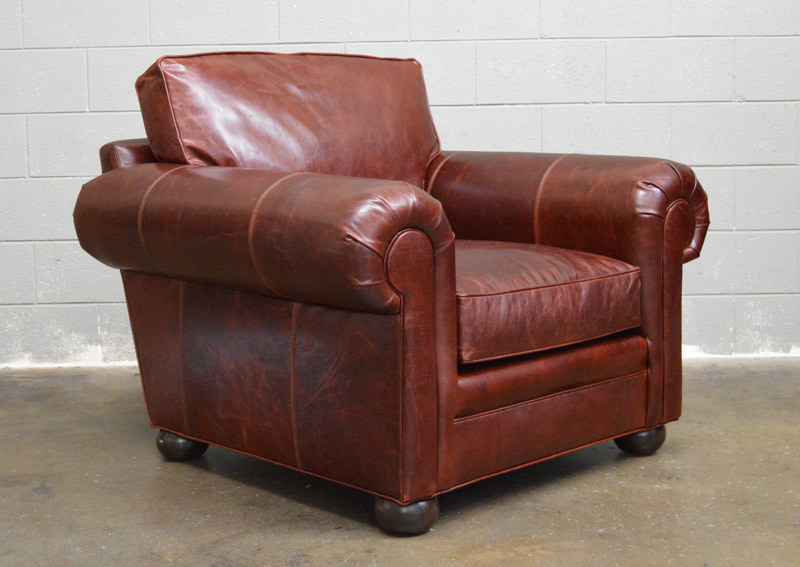 We’ve dressed this one an Aniline dyed, Full Grain Leather called Glove Timberwolf. 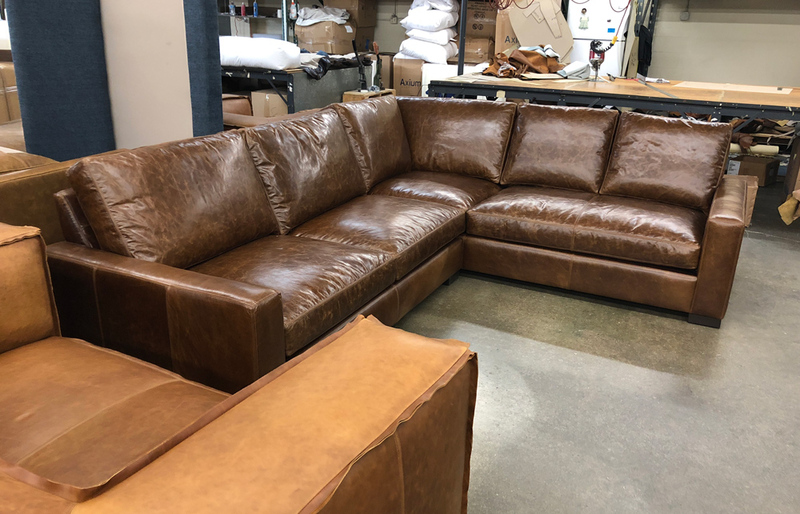 This leather is the Grey Brompton Leather, same leather as Brompton, same tannery, just part of a group of dye colors organized under the article name “Glove”. 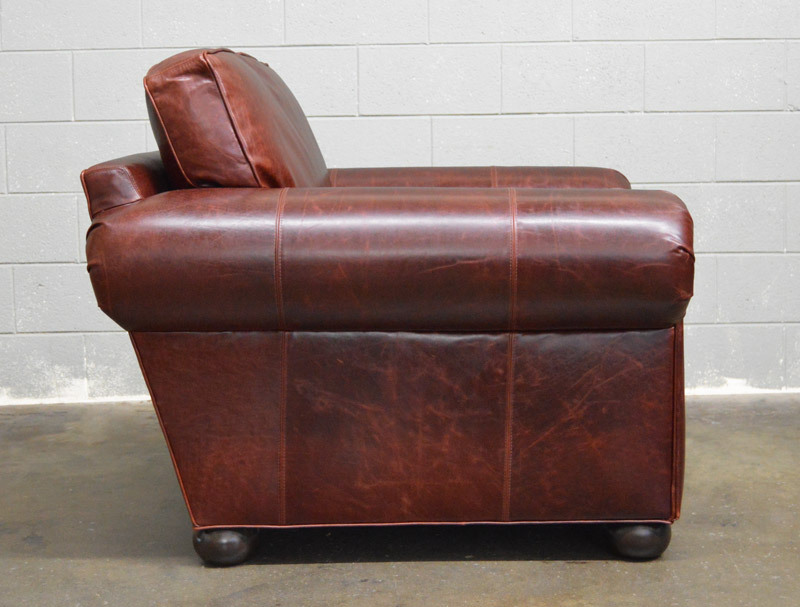 This waxed pullup leather displays quite a bit of color variation and natural markings from the hides. 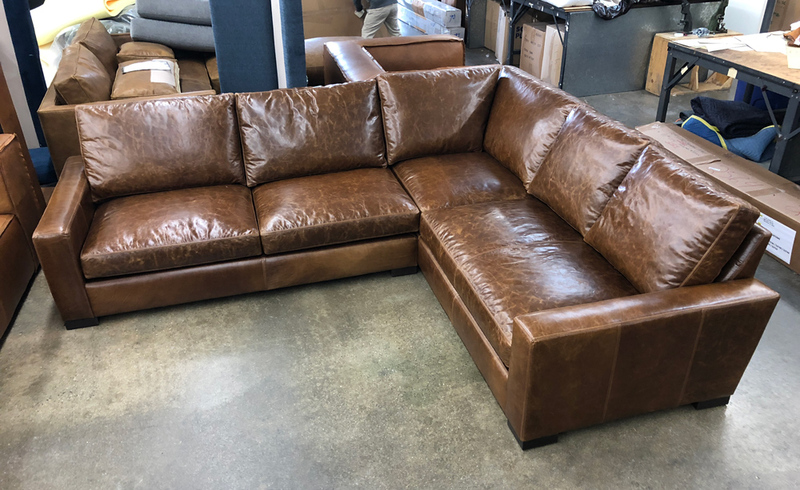 Feather & Down topped seats and full Feather & Down back cushions are part of what this customer is sure to enjoy about this Braxton as they break it in to that perfect feel. 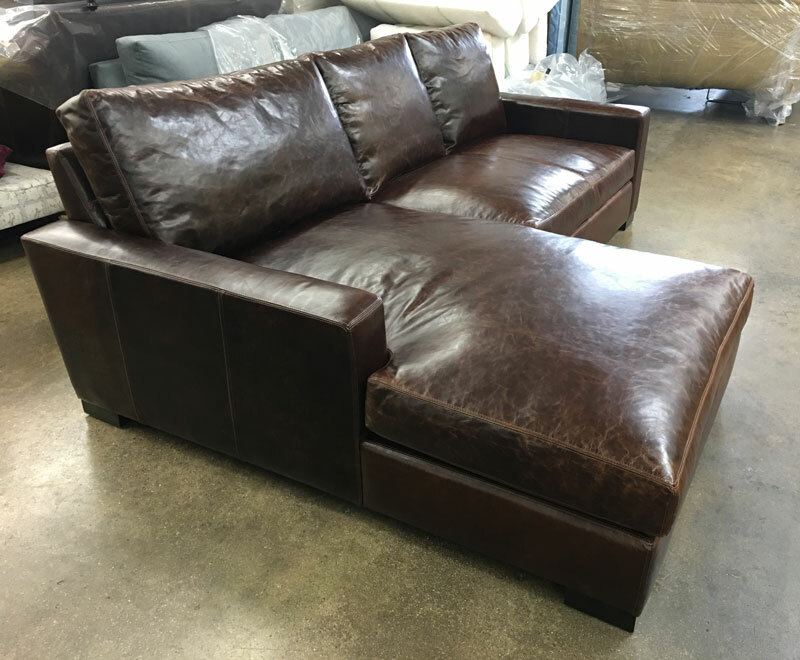 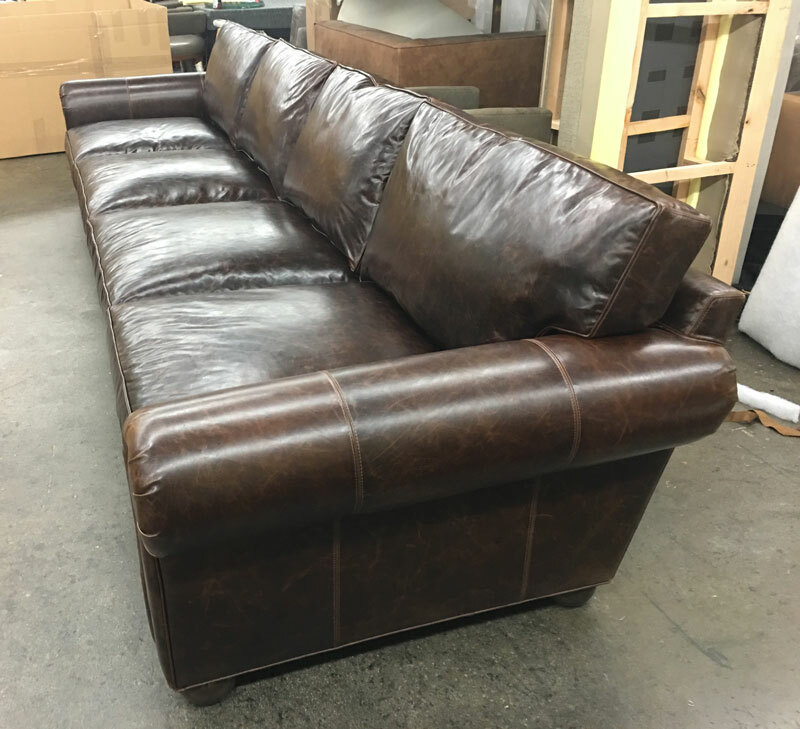 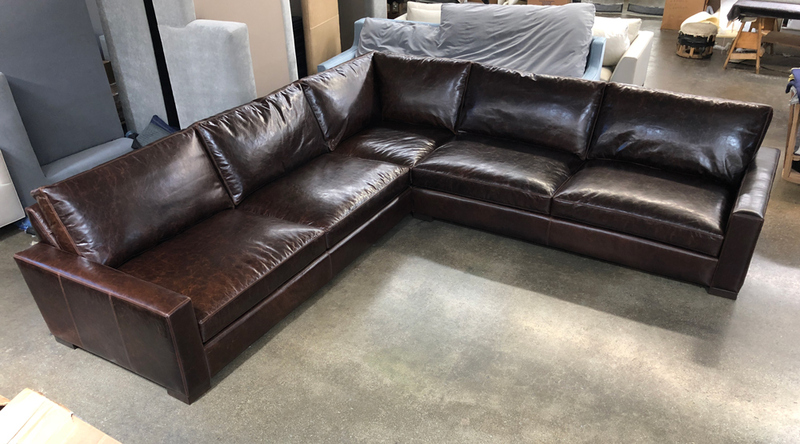 This entry was posted in Braxton, Custom Leather Order Feed and tagged 46" Deep, braxton collection, braxton leather sofa, full grain leather, Glove Timberwolf, Italian Brompton, maxwell leather collection, maxwell leather sofa, Mont Blanc Wolf, No Ears on January 5, 2017 by LeatherGroups. 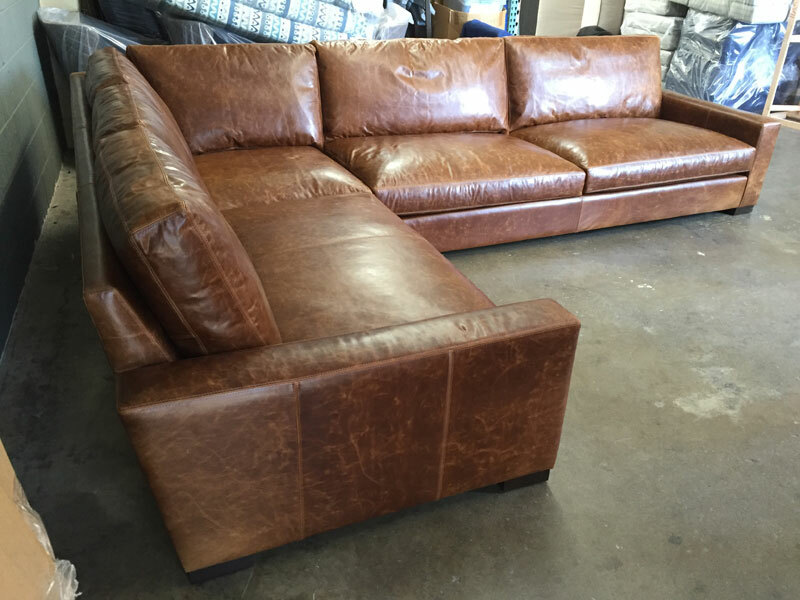 This entry was posted in LeatherGroups.com Reviews & Testimonials and tagged braxton collection, braxton leather sectional, braxton sectional, Italian Brompton, Italian Brompton Cocoa, maxwell leather collection, maxwell leather sectional on December 29, 2016 by LeatherGroups. 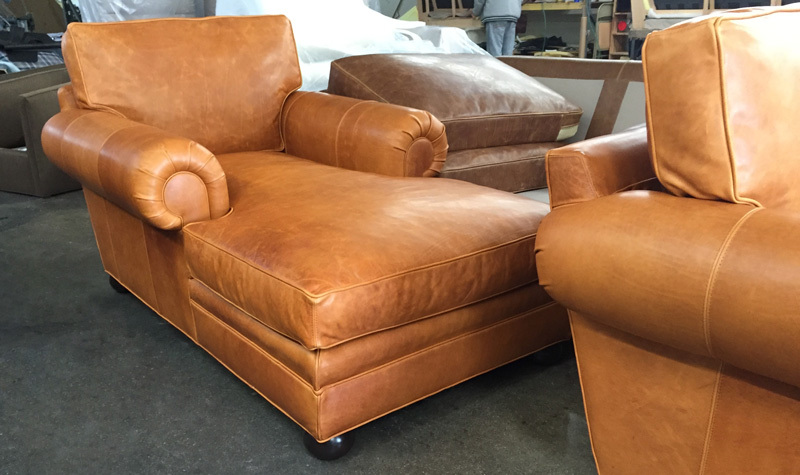 This Langston Set for our customer in Pennsylvania was an interesting mix of pieces and leathers. 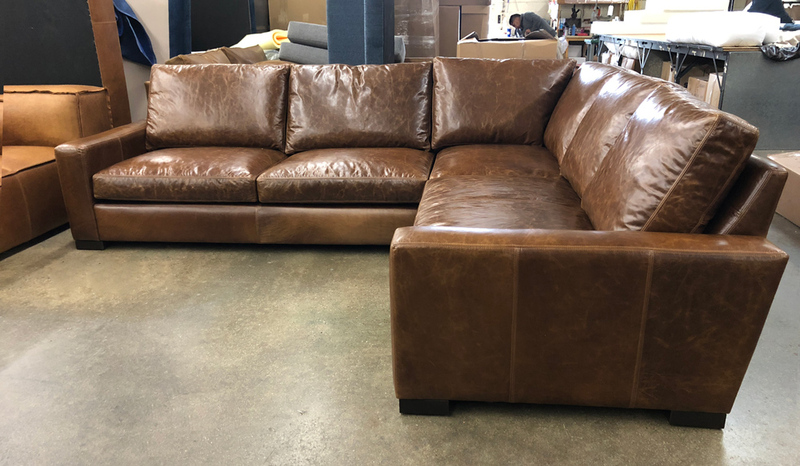 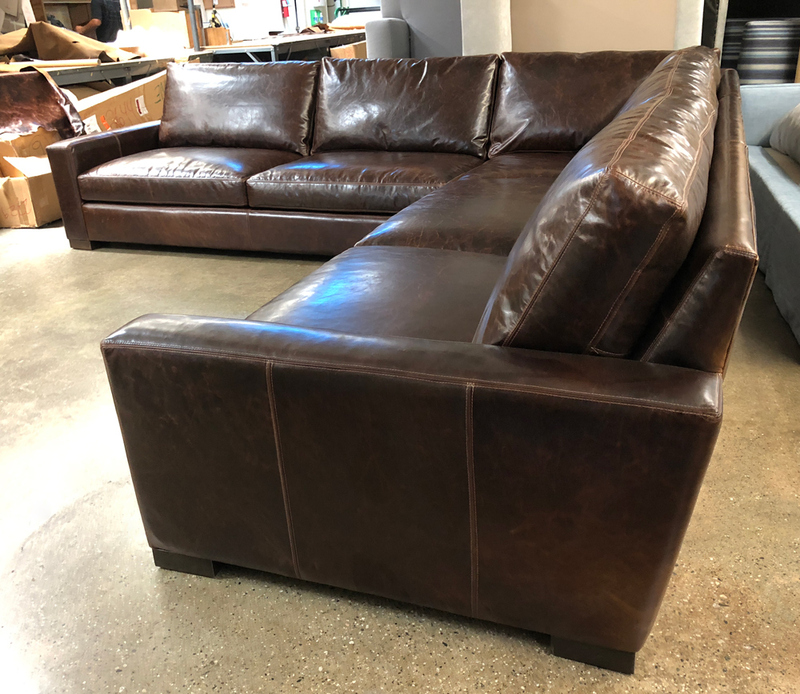 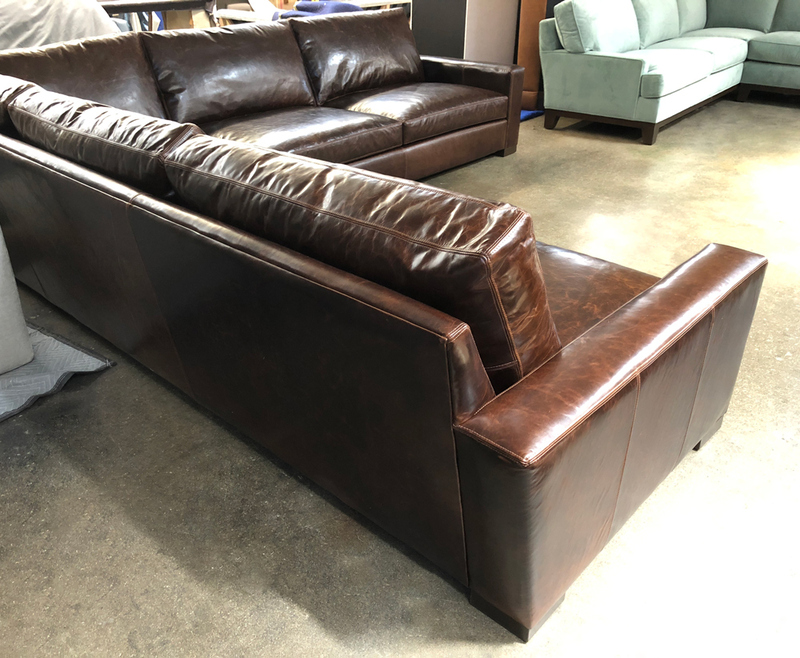 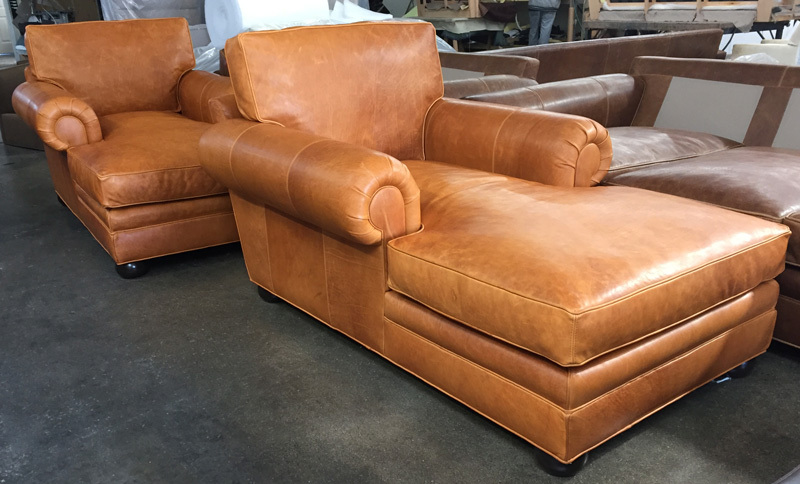 Our client ordered two of our Langston Leather Chaises in Full Grain Italian Domaine Bronze leather paired with two of our Langston Leather Chairs wrapped in Italian Brompton Walnut (also a Full Grain, Italian leather). 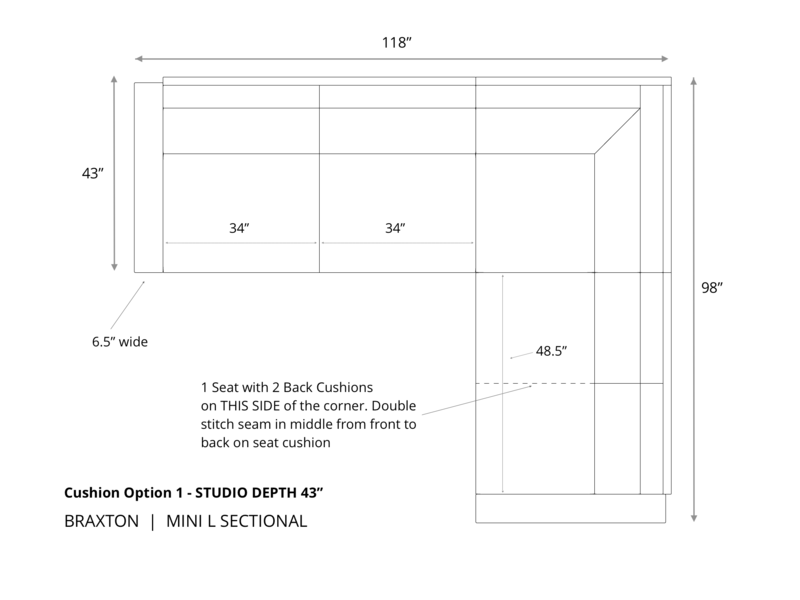 For a little variety, the customer selected one of the chairs in our 43″ deep studio version, and the other in the 48″ deep seating option. 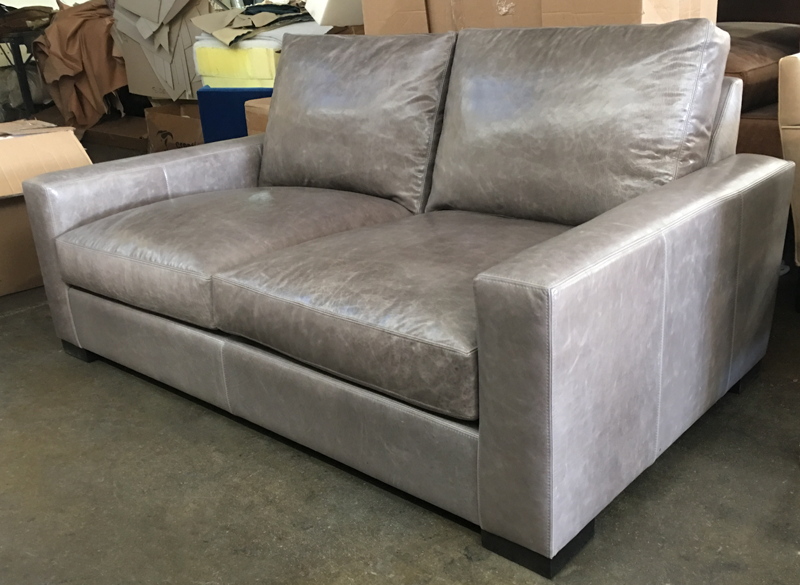 All four pieces were made with our True 8-way hand tied suspension, and as with all of our Langstons, the seat cushions are topped in Feather and Down blend while the back cushions are entirely filled with Feather and Down. 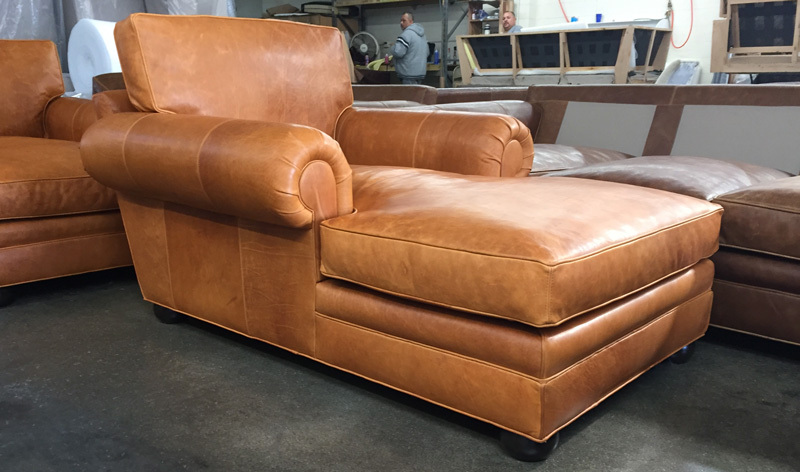 This entry was posted in Custom Leather Order Feed, Langston and tagged 43" Deep, 46" Deep, Domaine Bronze, full grain leather, Italian Brompton, Italian Brompton Walnut, lancanster leather chaise, lancaster leather chair, lancaster leather collection, langston leather chair, langston leather chaise, langston leather collection on April 29, 2016 by LeatherGroups.